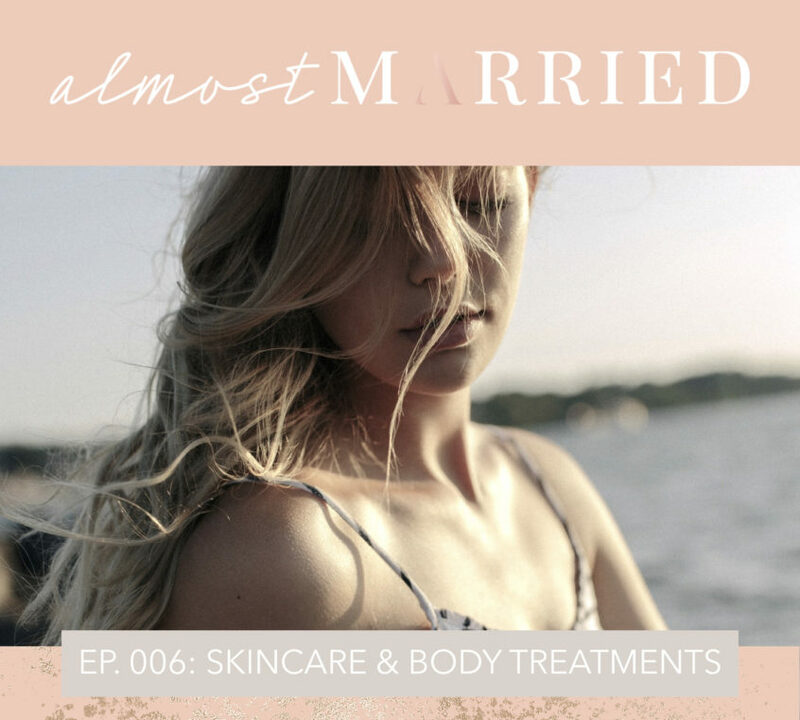 If there’s one piece of advice you should take away from this week’s episode it’s this: do not (we repeat, DO NOT) do anything new to your skin right before your wedding day. Well, that and wear sunscreen every single day – even in the winter! We were so fortunate to be joined in the studio by Natasha from The Vanity Lab to chat about how to get that wedding day glow we know every bride is after. Natasha and Aly chat about the basics of at-home daily skincare and all the trends in clinical treatments, including peels, laser treatments and more. With her science-based background, Natasha is an incredible wealth of knowledge in all things skincare, and tells you which treatments to avoid, which to do ASAP, and which you can save a few bucks on by doing yourself at home! If you’re interested in injectables such as Botox or fillers, she also runs through the ideal timeline you should aim for to ensure you don’t have any mishaps for your big day. Also on this week’s episode, Aly tells the shocking story of her own sister’s skin scare on her wedding day, and Natasha (who is also a bride-to-be!) fills us in on a treatment she’s getting that you for sure have never heard of!